When I explain to people that before I could reconcile with the Roman Catholic Church I had to sort through my own theological issues with Catholicism, they always want to know what the specific issues were. In my case, I had a list of 14 issues. It won’t surprise many readers to know (and they’ll likely be relieved to hear) that at the top of my list were several issues surrounding Catholic understandings, and dogmatic teaching about the Blessed Virgin, Mary. Before I proceed here I need to say a few things very clearly and simply. First, I am not the theological spokesman for the Roman Catholic Church. If you want raw, unfiltered Catholic theology, you simply must read the Catechism of the Roman Catholic Church. It will do you no good to have a thousand articles by guys like me if you have not read the Catechism. In order to be bear the stamp that a theological statement is truly Catholic, it must align itself to what is taught in the Catechism. At the end of the day, I need to be able to give an answer, even if the way I will talk about it here may be more refined after I have been a Catholic a few more years. With all that out of the way, I will say that at the top of my list of ideas with which I had to reconcile were the Marian dogmas. This was, in fact, where I started in my journey of reconciliation. Not long after we began our journey as a family, we were invited to attend the Feast of the Assumption of the Blessed Virgin Mary at our Parish. 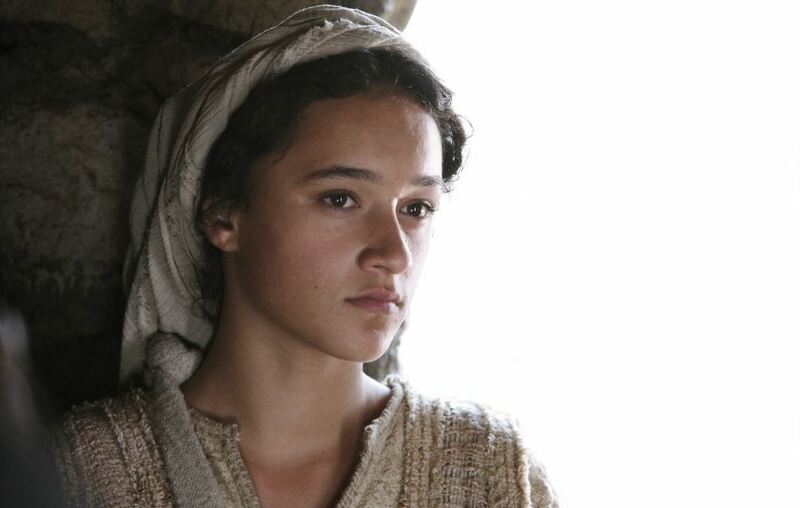 A couple of days before the event I remembered that while I was pastoring in California, and teaching through the Gospel of Luke, I preached a couple sermons about Mary. I transferred the digital recordings to my phone and went for a drive one night to listen to them in anticipation of the Mass a couple days later. I listened in horror as I spent 20 minutes in one of the sermons railing against the Catholic teaching on Mary, mischaracterizing Marian theology, mocking Catholics who believe it, and poking fun at the Catholic dogmas in very crass ways (especially as it pertains to the belief in her life-long virginity) in front of several hundred people (some of whom were practicing faithful Catholics who would attend our Church with their spouse while keeping their own commitments to their Catholic faith). As I listened to myself I was shocked, embarrassed, ashamed of my words and my behavior, and I made a commitment to correct what I said as much as I could into the future. This post is part of the correction. In keeping with my commitment to let the Catholic Church speak for herself, I read the Catechism regarding Mary and several other books (listed at the end of this article) that were immensely helpful to me. If you are curious to hear authoritative voices in the RCC discuss Marian theology, then you will need to move beyond the writings of protesting anti-Catholic critics and listen to the Church’s teachers tell you what the Catholic Church teaches. That is what I have done, and it has helped me greatly. This post will be (because of length) one of several posts related to how I have worked through reconciliation with, and (please read it) full acceptance and complete agreement with the dogmatic Marian teaching of the Roman Catholic Church. Here is an outline of the nine things that I believed about Catholic Marian theology before I began my journey. Many of these things are a mixture of what the Catholic Church teaches mixed in with spurious and misinformed lies or mischaracterizations which need to be corrected. Catholics worship the Virgin Mary as a goddess. The reason Catholics pray to Mary instead of Jesus is that they feel she is closer to Jesus and will hear her prayers even if he will not hear theirs. Statues, pictures, paintings, carvings, the rosary, and other objects with images of or references to Mary are idols used by Catholics in their idolatrous worship of Mary. Catholics call Mary a co-Redemptrix and co-Mediatrix with Christ, which must mean that she and Jesus save us from our sins together rather than Jesus alone saving us. Catholics believe that Mary was born without original sin and never committed original sin, and therefore, did not need a savior. Catholics believe that Mary was assumed (taken up) to heaven at the moment of her death (Dormition), and that she now lives in heaven in a fully transformed and resurrected body. Catholics believe that Mary was always a virgin and never had any children after Jesus was born. She and Joseph never had a sexual relationship. Catholics believe that Mary may rightly be called “Mother of God” because Jesus, the son of God, is God incarnate. Catholics believe that Mary has been crowned by Jesus as the Queen of Heaven. In this post, which will be much longer than it should be, I’ll just reflect on the first one of these nine items because it is often the most common accusation leveled at Catholics, and because addressing all of them will result in a book rather than a blog post, and I’m not writing a book right now. Plus, all the best books about this stuff have already been written (see the list at the end). Do Catholics worship Mary or see her as a goddess? Hear me now and believe me later; there is sometimes a difference between what Joe-Catholic says and does, and what official Catholic teaching says. To say “Catholics believe…” may, in fact, be very different from what the Catholic Church is teaching. So, at this point in my journey, I have all but erased the words “Catholics believe” from my vocabulary, and replaced them with, “The official teaching of the Catholic church is…” It’s an exercise, but I have trained myself to do it. This same dynamic was true when I was pastoring and attending non-Catholic churches too. There we people in every church I worked in or attended who believed and practiced very different things from what may be considered the official teaching of our churches. That will always be the case, and it’s why discipleship and teaching must be done by every generation of Christians. So, if you have heard a Catholic person tell you that he worships Mary, that is to be differentiated from the teaching of the Catholic Church. So let’s start with that. What does the Catholic Church teach about worship? In official and authoritative Catholic teaching, worship is reserved for God alone, and Mary is not the honorary fourth member of the Holy Trinity. She is a creature (a creation of God), and not a goddess. Catholic theology does not present her as worthy of worship which belongs to God alone, and to worship Mary is to sin against God who alone is worthy of worship. Yeah, well, “Hail Mary” sure sounds like worship to me! Okay, then you have a problem not with Catholic teaching, but with the behavior and terminology of Gabriel, the messenger of God from whom these words first came. The word in the original language in Luke’s gospel (Luke 1:28) is xaire (chaire), which is an honorable greeting with a range of meanings and uses. The KJV translates it as hail, the NIV and NASB as greetings. The Bible Sense Lexicon defines the word as: “To greet with a wish of health and happiness.”  In fact, the entire first half of the Hail Mary is 100% scripture. The second half is a request for intercessory prayer based on who Mary is. None of this communicates anything to or about Mary that was not spoken by Divine messengers (Gabriel), Righteous servants of God (Elizabeth), and Mary herself. In fact, Catholics call her The Blessed Virgin Mary because Mary herself said we would (and thus, we should) in Luke 1:48. Catholics are not taught to worship Mary, but they are taught to honor and love her (which is what is meant by the word venerate). I’ll talk more about that in the next few posts. But in case you wonder if it is dangerous to honor and love the Blessed Virgin Mary, I’ll end this post (in anticipation of the next) with the words of St. Maximillian Kolbe, a Polish Catholic Priest who gave his life in martyrdom for others during WWII at Auschwitz. Never be afraid of loving Mary too much. You can never love her more than Jesus did. Catholic Church, Catechism of the Catholic Church, 2nd Ed. (Washington, DC: United States Catholic Conference, 2000), 70. Jeremy Thompson, Bible Sense Lexicon: Dataset Documentation (Bellingham, WA: Faithlife, 2015). Entry on Xaire/Chaire as found in Luke 1:28.